I never really have to think too much about getting dressed each day. I wake up and quickly tune in to how I feel. Usually over my porridge and coffee, reading my favourite fashion blogs. And my motto goes a little something like this... "I only WEAR it if I LOVE it". I do normally feel good. Sprightly and positive. And I can easily picture myself in my look for the day before I finish the last of my oats (note, one should always have a plan pre entering her wardrobe). If I'm lucky and can I love to hibernate, like today. It's that time of the month, so sorry guys I haven't been able to take any picures of my wardrobe today. Where was I? Oh yes, it's that I never think too hard about what I am going to wear. But recently I discovered that if I know I am giving inspiration and joy from my outfits then why not show off my outfits more ( maybe with a little more thought about it) and put the pictures on HERE. Then I'm not dressing soley for me....but for others too. Share the love a bit. So, there's more style and inspiritation to come. Just keep following thelondonmodelcitizen for new posts. PS. 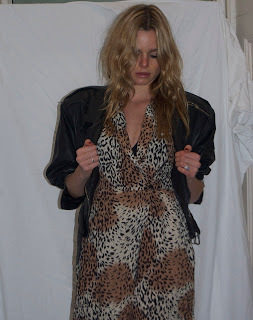 Here is a sneaky peak at my post for tomorrow; Animal Prints.